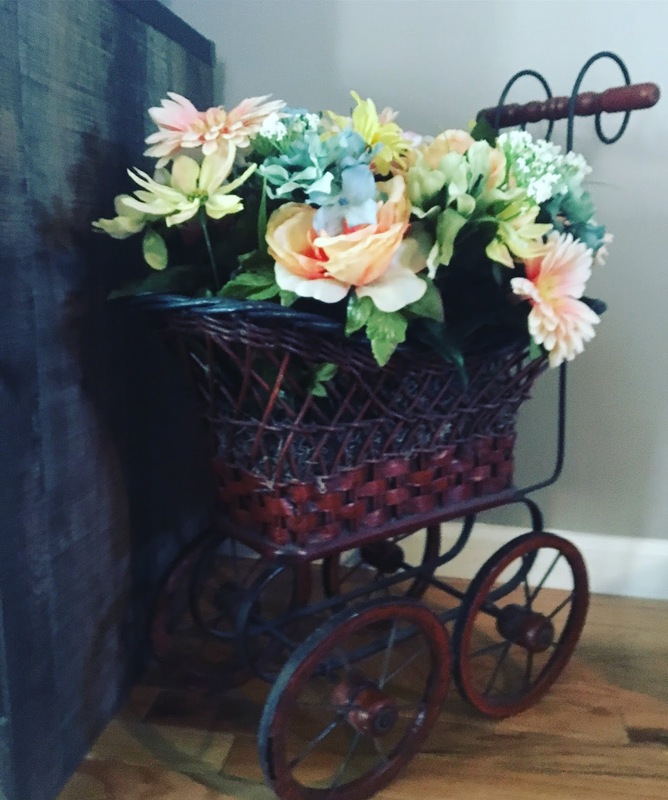 Coming home from a trip to the local goodwill my mother had found a gorgeous wooden carriage. She got it for a decently cheap price and knew that we could turn it into a gorgeous piece of home decor. Using some cheap fake flowers we got at Walmart and some floral foam we managed to make this in under an hour it does add a very beautiful addition to the house.